The mobile app market is saturated with competition. Trends turn over quickly, but no niche can last very long without several competitors jumping onto the bandwagon. These conditions result in a high failure rate across the board for the mobile app market. Only 20% of downloaded apps see users return after the first use, whereas 3% of apps remain in use after a month. If any part of an app is undesirable, or slow to get the hang of, users are more likely to install a new one, rather than stick it out with the imperfect product. Nothing is wasted for the consumer when disposing of an app – except for the efforts of the designers and developers, that is. So, why is it that so many apps fail? Is this a predictable phenomenon that app designers and developers should accept? For clients, is this success rate acceptable? What does it take to bring your designs to the top 3% of prosperous apps? The common mistakes span from failing to maintain consistency throughout the lifespan of an app, to attracting users in the first place. How can apps be designed with intuitive simplicity, without becoming repetitive and boring? How can an app offer pleasing details, without losing sight of a greater purpose? Most apps live and die in the first few days, so here are the top ten most common mistakes that designers can avoid. Only 3% of mobile apps are in use after being downloaded. Often the first use, or first day with an app, is the most critical period to hook a potential user. The first impression is so critical that it could be an umbrella point for the rest of this top ten. If anything goes wrong or appears confusing or boring, potential users are quickly disinterested. Although, the proper balance for first impressions is tricky to handle. In some cases, a lengthy onboarding, or process to discover necessary features can bores users. Yet, an instantly stimulating app may disregard the need for a proper tutorial, and promote confusion. Find the balance between an app that is immediately intuitive, but also introduces the users to the most exciting, engaging features quickly. Keep in mind that when users are coming to your app, they’re seeing it for the first time. Go through a proper beta testing process to learn how others perceive your app from the beginning. What seems obvious to the design team, may not be for newcomers. Onboarding is the step by step process of introducing a user to your app. Although it can be a good way to get someone quickly oriented, onboarding can also be a drawn out process that stands in the way of your users and their content. Often these tutorials are too long and are likely swiped through blindly. Sometimes, users have seen your app used in public or elsewhere, such that they get the point and just want to jump in. So, allow for a sort of quick exit strategy to avoid entirely blocking out the app upon its first use. To ensure that the onboarding process is, in fact, effective, consider which values this can communicate and how. The onboarding process should demonstrate the value of the app in order to hook a user, rather than just an explanation. Some designers address the issue of a good first impression with gripping intro animations to dazzle new users. But, keep in mind that every time someone wants to run the app, they’re going to have to sit through the same thing over and over. If the app serves a daily function, then this will tire your users quickly. Ten seconds of someone’s day for a logo to swipe across the screen and maybe spin a couple times don’t really seem worth it after a while. Avoid entering the design process without succinct intentions. Apps are often designed and developed in order to follow trends, rather than to solve a problem, fill a niche, or offer a distinct service. What is the ambition for the app? For the designer and their team, the sense of purpose will affect every step of a project. This sensibility will guide each decision from the branding or marketing of an app to the wireframe format, and button aesthetic. If the purpose is clear, each piece of the app will communicate and function as a coherent whole. Therefore, have the design and development team continually consider their decisions within a greater goal. As the project progresses, the initial ambition may change. This is okay, as long as the vision remains coherent. Conveying this vision to your potential users means that they will understand what value the app brings to their life. Thus, this vision is an important thing to communicate in a first impression. The question becomes how quickly can you convince users of your vision for the app? How it will improve a person’s life, or provide some sort of enjoyment or comfort. If this ambition is conveyed quickly, then as long as your app is, in fact, useful, it will make it into the 3%. Often joining a pre-existing market, or app niche means that there are apps to study while designing your own. Thus, be careful how you choose to ‘re-purpose’ what is already out there. Study the existing app market, rather than skimming over it. Then, improve upon existing products with intent, rather than thoughtlessly imitating. Be careful not to skip over a thoughtful planning of an app’s UX architecture before jumping into design work. Even before getting to a wireframing stage, the flow and structure of an app should be mapped out. Designers are often too excited to produce aesthetics and details. This results in a culture of designers who generally under appreciate UX, and the necessary logic or navigation within an app. Slow down. Sketch out the flow of the app first before worrying too much about the finer brush strokes. Often apps fail from an overarching lack of flow and organization, rather than imperfect details. However, once the design process takes off always keep the big picture in mind. The details and aesthetic should then clearly evoke the greater concept. As soon as the basis of the app is sketched, this is a good time to get a budget from the development team. This way you don’t reach the end of the project and suddenly need to start cutting critical features. As your design career develops, always take note of the average costs of constructing your concepts so that your design thinking responds to economic restraints. Budgets should be useful design constraints to work within. Hopefully, rigorous wireframing will make the distinction between necessary and excessive functions clear. The platform is already the ultimate swiss army knife, so your app doesn’t need to be. Not only will cramming an app with features lead to a likely disorienting User Experience, but an overloaded app will also be difficult to market. If the use of the app is difficult to explain in a concise way, it’s likely trying to do too much. Paring down features is always hard, but it’s necessary. Often, the best strategy might be to gain trust in the beginning with a single or few feature, then later in the life of the app can new ones be ‘tested’. This way, the additional features are less likely to interfere with the crucial first few days of an apps’ life. Although the conditions of most design offices practically operate within a vacuum, app designers must be aware of wider contexts. Although purpose and ambition are important, they become irrelevant if not directed within the proper context. Remember that although you and your design team may know your app very well, and find its interfacing obvious, this may not be the case for first-time users or different demographics. Consider the immediate context or situation in which the app is intended to be used. Given the social situation, how long might the person expect to be on the app for? What else might be helpful for them to stumble upon given the circumstance? For example, UBER’s interface excels at being used very quickly. This means that for the most part, there isn’t much room for other content. This is perfect because when a user is out with friends and need to book a ride, your conversation is hardly interrupted in the process. UBER hides a lot of support content deep within the app, but it only appears once the scenario calls for it. Who is the target audience for the app? How might the type of user affect how the design of the app? Perhaps, consider that an app targeted for a younger user may be able to take more liberties in assuming a certain level of intuition from the user. Whereas, many functions may need to be pointed out for a less tech savvy user. Is your app meant to be accessed quickly and for a short period of time? Or, is this an app with lots of content that allows users to stay a while? How will the design convey this form of use? A good app design should consider the context in which it is used. Often apps are developed quickly as a response to changing markets or advancing competitors. This often results in web content being dragged into the mobile platform. A constant issue, which you’d think would be widely understood by now, is that often apps and other mobile content make poor transitions between the desktop or mobile platforms. No longer can mobile design get away with scaling down web content in the hope of getting a business quickly into the mobile market. The web to mobile transition doesn’t just mean scaling everything down but also being able to work with less. Functions, navigation, and content must all be conveyed with a more minimal strategy. Another common issue appears when an app developing team aspires to release a product simultaneously on all platforms, and through different app stores. 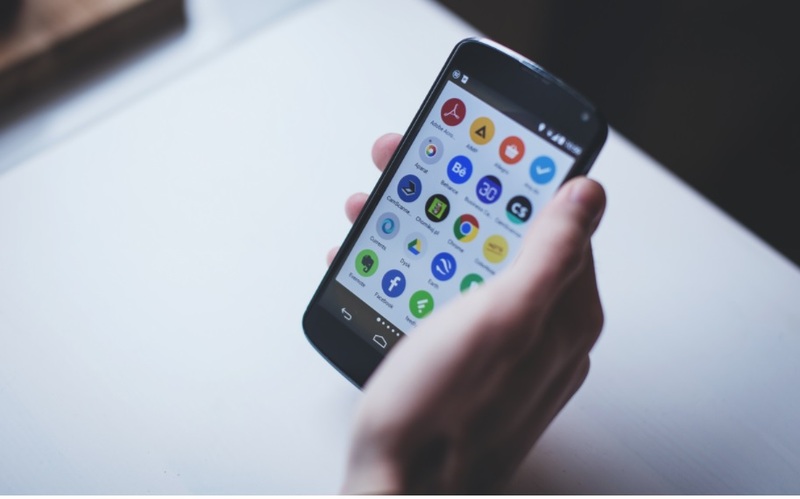 This often results in poor compatibility, or a generally buggy, unpolished app.The gymnastics of balancing multiple platforms may be too much to add to the launch of an app. However, it doesn’t hurt to sometimes take it slowly with one OS at a time, and iron out the major issues, before worrying about compatibility between platforms. The famous architect Mies Van der Rohe once said, “It’s better to be good than to be unique”. Ensure that your design is meeting the brief before you start breaking the box or adding flourishes. When a designer finds themselves adding things in order to make a composition more appealing or exciting, these choices will likely lack much value. Continue to ask throughout the design process, how much can I remove? Instead of designing additively, design reductively. What isn’t needed? This method is directed as much towards content, concept, and function as it is aesthetics. Over-complexity is often a result of a design unnecessarily breaking conventions. Several symbols and interfaces are standard within our visual and tactile language. Will your product really benefit from reworking these standards? Standard icons have proven themselves to be universally intuitive. Thus, they are often the quickest way to provide visual cues without cluttering a screen. Don’t let your design flourishes get in the way of the actual content, or function of the app. Often, apps are not given enough white space. The need for white space is a graphic concept that has transcended both digital and print, thus it shouldn’t be underrated. Give elements in the screen room to breath so that all of the work you put into navigation and UX can be felt. The app design process can be reductive, rather than additive. To the point of simplicity, if a design is going to introduce new standards, they have to at least be consistent across the app. Each new function or piece of content doesn’t necessarily have to be an opportunity to introduce a new design concept. Are texts uniformly formatted? Do UI elements behave in predictable, yet pleasing ways throughout the app? Design consistency must find the balance between existing within common visual language, as well as avoiding being aesthetically stagnant. The balance between intuitive consistency and boredom is a fine line. All designers should analyze the use of their apps with some sort of feedback loop in order to learn what is and isn’t working. A common mistake in testing is for a team to do their beta testing in-house. You need to bring in fresh eyes in order to really dig into the drafts of the app. Send out an ad for beta testers and work with a select audience before going public. This can be a great way to iron out details, edit down features, and find what’s missing. Although beta testing can be time-consuming, it may be a better alternative to developing an app that flops. Anticipate that testing often takes 8 weeks for some developers to do it properly. Avoid using friends or colleagues as testers as they may not criticize the app with the honesty that you need. Using app blogs or website to review your app is another way to test the app in a public setting without a full launch. If you’re having a hard time paring down features for your app, this is a good opportunity to see what elements matter or not. The app design market is a battleground, so designing products which are only adequate just isn’t enough. Find a way to hook users from the beginning – communicate, and demonstrate the critical values and features as soon as you can. To be able to do this, your design team must have a coherent vision of what the app is hoping to achieve. In order to establish this ambition, a rigorous story-boarding process can iron out what is and isn’t imperative. Consider which types of users your app may best fit with. Then refine and refine until absolutely nothing else can be taken away from the project without it falling apart.